For every bride and groom, we aim to create an image that is is completely unique to them as a couple and that also is something new for us as photographers. We will often scout locations far beyond the walls of the resort where the wedding is taking place if the couple is interested in doing something different. Most couples who make the big decision to do a destination wedding somewhere far from their hometown are up for adventure and are also excited about exploring the place they chose for their big day. When scouting, we are looking at the quality of light, the colors and textures of a surrounding, the combination of natural and manmade elements, and also the logistics of the shooting at the location - distance, access, and challenges. This location, an abandoned cannery in the desert about a half hour from Los Cabos, was special in many ways. 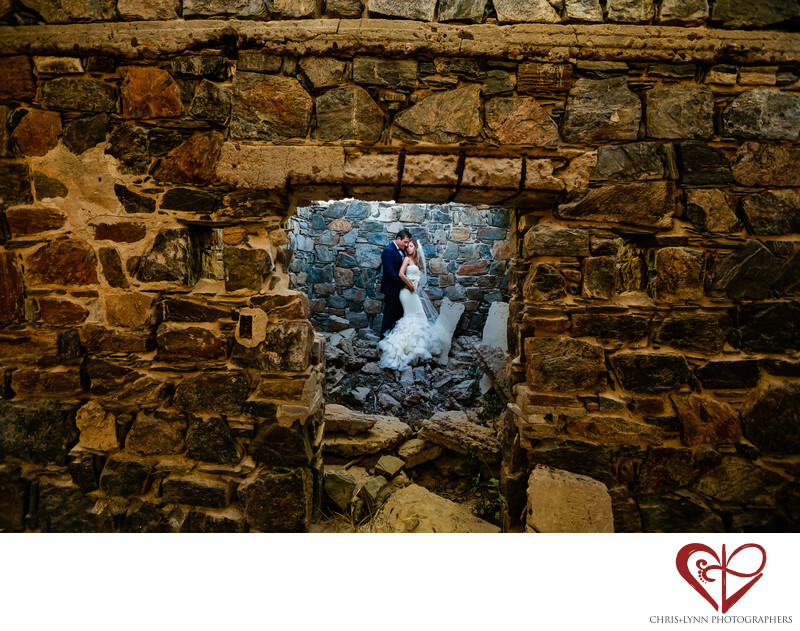 The roughness of the rock walls and crumbling floors differed strikingly from the refinement of the couples’ wedding outfits. The warm light of the outer walls was in direct contrast to the cool light coming through the open roof from the sky. The juxtaposition of these elements makes this image a very non-traditional wedding portrait of a very awesome couple! We love when our couples come to a shoot with open minds and a spirit of adventure! 1/125; f/4.5; ISO 1600; 16.0 mm.